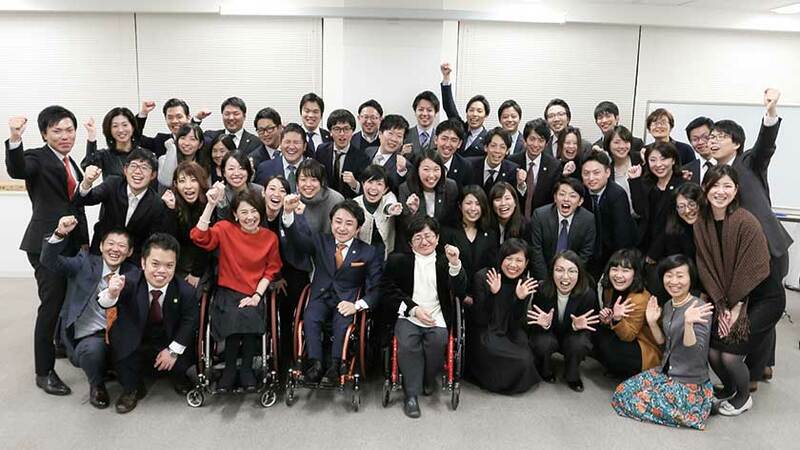 One goal of Accessible Japan is to introduce prominent Japanese people with disabilities to the rest of the world. We recently had the opportunity to interview Toshiya Kakiuchi, founder and president of Mirairo. 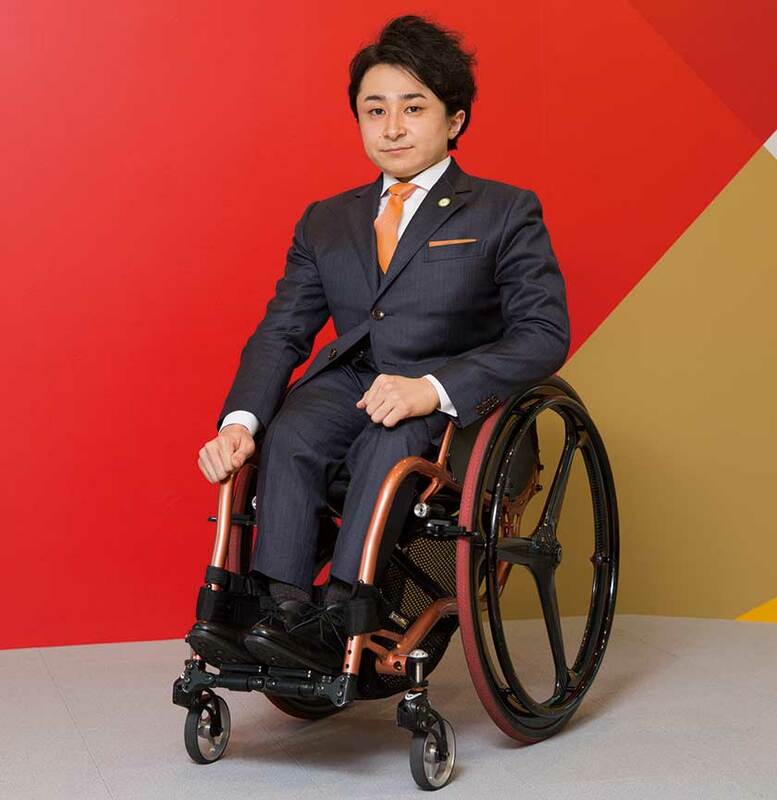 Toshiya has osteogenesis imperfecta which led to many challenges in school, but inspired him to start a company that is changing many lives in Japan. Toshiya, I know you are very busy, so thank you for taking time for this interview! First off, can you tell us about yourself? My pleasure! I’m 28 years old now. I spent most of my childhood in Nakatsugawa, Gifu prefecture, where I lived until I was 17 years old. I left Nakatsugawa before finishing high school to go through operations and rehabilitation in Osaka. I took the GED and entered Ritsumeikan University. I founded Mirairo Inc. in 2010 when I was 20 years old. I have osteogenesis imperfecta, which is a hereditary bone disease. My brother and father also have the disease, and so did our ancestors. It makes my bones very frail: the bone structure of my body is like a concrete building without reinforcing steel. Every three years or so, I need to have an operation, and I was hospitalized in 2013 and 2016. I live on my own without an attendant, but that may change in the future. There are certain things I was able to do by myself, but now I need some help with. What was school like? Did you face many challenges? I entered an ordinary kindergarten at the age of five and, after much consultation with the board of education in the area, I was accepted by a public primary school near my home. I was the only wheelchair user then, and was joined by my brother, Takafumi, two years later. There was some bullying in the first few months, but I tried to talk to my classmates as much as possible, and it helped me make friends. In the third year, I found myself at the center of a circle of friends. I went on to attend a junior high school in the community, and I faced a turning point in the ninth grade. I was on a school trip to Hiroshima, accompanied by my mother, as requested by the school. On the second day, we were setting off on a one-night trip to a remote island. I had already been feeling low about being accompanied by mother. So, I asked the teacher not to treat me as a special case and let me join the island trip without her. She replied “Not treating you in a special way means treating you in a special way.” I felt devastated and learned the stark realities of being disabled the hard way. The teacher thought, had I joined the trip, she would have had to support me, and be unable to attend to other students. I left Hiroshima next day and came home. This incident made me determined to overcome my disability and I was compelled to go thorough operations and rehabilitation. Looking back, I don’t want anyone to feel like I did. No one should be in this kind of situation. And this feeling has been at the base of Mirairo’s projects: that no one should feel they had to overcome their disability, rather, their disability should be transformed into value. When I first thought about my career, I was thinking of becoming a prosthetist and was admitted to a university with a specialized department. It turned out, however, there were too many physical barriers for me on campus. I had to give up studying there. Then I thought of becoming an entrepreneur and chose another university which had a department pioneering in IT, thinking that IT skills would be essential in starting a new business. Again, I was accepted, but found out that this university was not accessible either. My brother and I collected information on the accessibility of universities and found that Ritsumeikan University’s campus in Shiga near the Biwako lake was flat and accessible. We both entered Ritsumeikan. This experience made me think that information on the accessibility of universities is essential for persons with disabilities: there must be many young people aspiring to continue their studies but giving it up because of the lack of information. Lack of higher education can lead to losing employment opportunities. This prompted me to think of the first business idea of making accessibility maps for universities. 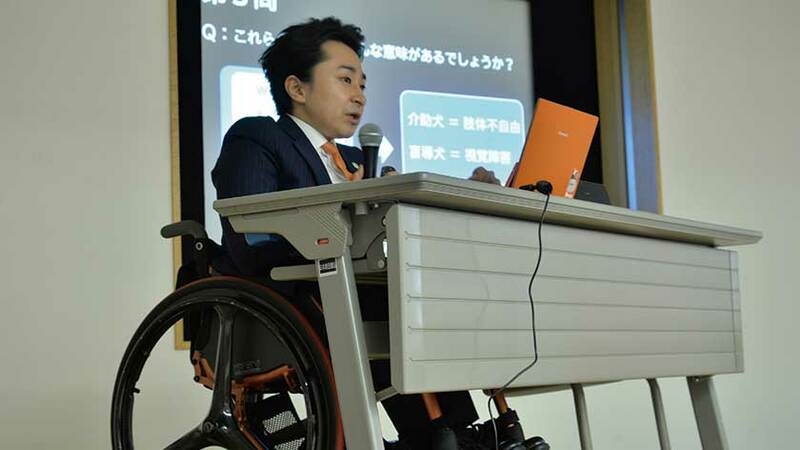 In 2010, Takero Tamino, my classmate in Ritsumeikan, and I founded Mirairo Inc. and started making accessibility maps, initially for the universities, then, for theme parks and other commercial entities. We then encountered many business owners who said there was no need for an accessibility map, because their facilities were inaccessible. We realized that there was a market for offering consulting service on how to receive customers with disabilities better even in the not-very-accessible facilities. We started providing what we call “Universal Manners” training, mainly to businesses in the service industry. After a while, we noticed that those who had received the training didn’t seem to be very confident about their skills. We thought that some kind of certification and acknowledgement of their knowledge and skills would boost their confidence to interact with persons with disabilities. In this way, having accreditation for “Universal Manners” by a specialized association, Universal Manners Association, came to our mind. We established the association in 2013 and there are more than 40,000 persons who have become accredited with Universal Manners certificates. As I mentioned earlier, I was hospitalized for a while in 2013. The condition of Takafumi, my brother, was deteriorating as well, and he started working from home. During this period, I felt that there must be many people capable of working but unable to leave hospital or home. I also felt that we needed more persons with disabilities on our team so that we could have more diverse viewpoints and ideas in our work. This feeling was materialized in a yet another business model of Mirairo Research in 2015. Any person with disability can register with us to take part in our research as monitors. They can offer their input through answering questionnaires or taking part in interviews, for example. The important point of this business model is that the research monitors are enumerated properly for their expertise. The number of registered research monitors is increasing, and we receive positive feedback from both our research monitors as well as customers who want to know the feedback from persons with various types of disabilities. Around the same time, we began to feel that the information on the accessibility of places of interest, such as shops and restaurants, whether they were accessible or not, would be useful for anyone. Sometimes, it takes a long time to remove physical barriers. Also, the places which are inaccessible for some may be accessible for others. A map showing the accessibility of spots as they are would be handy for knowing beforehand. Bmaps was born from this idea. The latest project we are working on is Mirairo Connect, which aims to ensure information accessibility to those who have hearing difficulties by providing sign language interpretation. The idea came to me as a Deaf person joined Mirairo and we learned the importance of access to information. That sounds like you are very busy! What is your goal with Mirairo – how will Mirairo change Japan? There are two main goals which are close to my heart. One is that I want to ensure that no one feels worried or insecure about going out and visiting places as they wish. In my family, we gave up traveling together because of barriers. My grandfather, brother and myself are wheelchair users and our father has difficulties in walking. It was too difficult for us to find places we can go together. I know how painful it is not to be able to go on family trips because of your disability. The sense of being a burden weighs on you. My uncle who became disabled in his later years committed suicide, because he didn’t want to burden his family. I almost killed myself when I was seventeen. I don’t want anyone else to feel this way. The other goal is to promote the idea of “Barrier Value”. What used to be seen as negative features, such as physical impairments, can be transformed into value. There are things which can only be seen from the eye level of a wheelchair user, for example. As a wheelchair user, I can notice barriers which may also be restricting other people’s activities. The expertise which can only be developed from one’s experience of facing barriers is valuable and should be recognized as such. I would like to see the business model of Mirairo, which places importance on such values created by those who may be considered socially vulnerable, to take root in other countries, especially developing countries. I understand that there are many countries where persons with disabilities are segregated and have limited options in their life. I would like to see them have opportunities equal to those without disabilities. I think our readers will be very interested in following Mirairo’s work and maybe getting in touch. Can you share with everyone some ways to follow Mirairo and yourself?